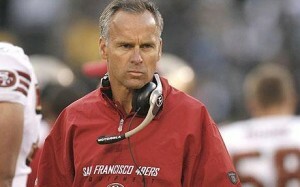 The Falcons have a new man to run the defense, as the team has hired Mike Nolan to be their new defensive coordinator. Nolan was with Miami for the past two seasons, taking them from near the bottom of the ranking and moving them to sixth in total defense and 14th in scoring defense this past year. In both seasons, the Dolphins ranked in the Top 10 against the run. Nolan replaces Brian Van Gorder, who left the team to accept the same position at Auburn University. The Falcons ranked 12th in total defense and 18th in scoring defense, but were just 29th on third down. Miami’s defense ranked seventh on third downs last season.